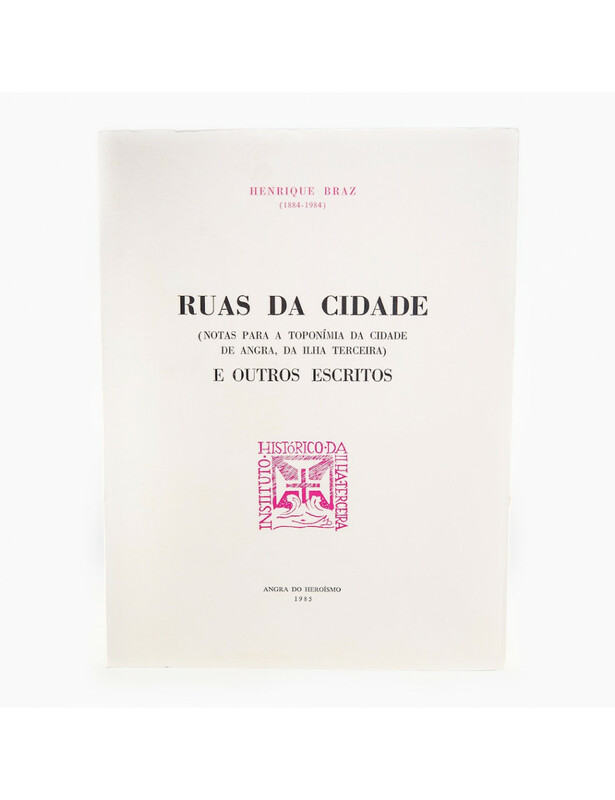 Home > BOOKS>"Ruas da cidade e outros escritos"
About the Author: Henrique Ferreira de Oliveira Braz (Angra do Heroismo, February 9, 1884 - Furnas, August 11, 1947), better known by Henrique Brás, was a lawyer, journalist, politician and historian, who distinguished himself in life forensic and political activity in the Autonomous District of Angra do Heroísmo. He was the first civil governor after the implantation of the Portuguese Republic, ruling the district from 1910 to 1912, and later elected deputy and also senator to the Congress of the Republic. Henrique Brás also played an important role in municipal governance, presiding over the City of Angra do Heroísmo and the General Board of the district. He has been known for his speaker skills and was a founding member of the Historical Institute of Terceira Island.